There are few countries in the world that are steeped in as much history as Egypt. To put things into perspective, the Pyramids of Giza were already over 2000 years old when the Parthenon of Athens was first constructed. Pilgrims, tourists, and adventurers have been travelling to the banks of the Nile for literally thousands of years. A lot has changed in the last 200 years alone; but Egypt has never been more captivating or dynamic. If you are thinking of booking a cruise to Egypt, then you’re in for a truly magical experience. There’s so much to see and do; so it’s important to plan ahead and ensure that you don’t miss out of anything special. Here is our guide for the top 10 things to experience in Egypt. If you’re stopping in Cairo, then you have to visit the Museum of Antiquities. The museum contains over 120,000 artefacts from throughout Egypt and its history. Some of the most impressive collections include the findings of Howard Carter and Lord Carnarvon from the Tomb of Tutankhamun. 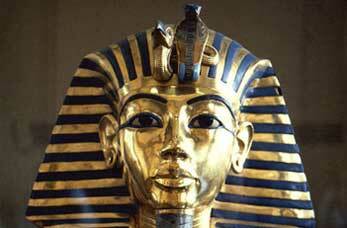 You’ll be able to see the iconic golden sarcophagus and the exquisite death mask worn by the boy king. One of the other impressive exhibitions in the museum is from the reign of Akhenaten (Tutankhamun’s father). Akhenaten was one of the most controversial and derided pharaohs in all of Egypt’s history. According to sources of the time, Akhenaten tried to convert his subjects into worshipping a monotheistic deity, the sun (‘Aten’). He was also responsible for a drastic change in traditional Egyptian art – Akhenaten’s image is instantly recognisable because of his elongated features and almost feminine physique. Following his death, much of this art was deliberately destroyed so the objects which do survive are incredibly precious. The Cairo Museum has an extensive collection of artefacts from the reign of Akhenaten and is definitely worth visiting. In addition to this, the museum also has an endless collection of mummies, obelisks, and stunning sculptures. Bring your comfy shoes, though; the museum is vast and demands a lot of your time. People who visit Egypt on a cruise are quick to comment about the local cuisine. First and foremost, it’s not recommended that you eat food from the residential food vendors. This tends to make tourists very ill and has been nicknamed ‘pharaoh’s revenge’ from various visitors. The same logic also applies to bottled water – you must make sure that the bottle top is properly sealed before drinking the contents. Nevertheless, Egypt has an incredible indigenous cuisine and is internationally praised for its variety and richness. Given that the population of Egypt is predominantly Muslim, there is a wonderful mixture of African, Mediterranean, and Arabic food to be eaten. Egypt’s famous dishes include rice-stuffed vine leaves, falafel, and Mulukhiyah – a local vegetable, similar to okra, traditionally fried with plenty of garlic and coriander. If that doesn’t whet your appetite, then there are plenty of other options. Cities like Cairo are very Westernised and you purchase food from all across the world here. One of the tastiest treats you can experience in Egypt, however, is their Arabic coffee. It’s not like the coffee traditionally consumed in Europe and America. It’s much thicker, almost like a syrup, and is incredibly strong. In Egypt, the coffee is usually served with copious amounts of sugar and a glass of water. Like other cities in the Mediterranean, Cairo has an overt cafe-culture where people (mostly men) will sit outside and drink coffee for most hours of the day. You’ll also see lots of individuals smoking a shisha (also known as ‘hookah’). Another reason to experience Egypt is for its phenomenal cultural sites. While many people think of Egypt’s ancient history, the country has a very rich Medieval past. The Citadel of Salah Ed-Din is a fortress built the Ayyubid ruler during the Second Crusade (1145-1149). In an attempt to protect Cairo from the Franks, the fortress was intended as a place of sanctuary for Salah al-Din’s men who were station in the province. This site is worth visiting, not only for its beauty, but because it commands incredible views of Cairo. You get the opportunity to see the city on a panoramic scale and enjoy the breeze (which you’ll be very grateful for in the hot summer months). The citadel itself is now home to two extremely prominent mosques; the most stunning being the Mosque of Muhammad Ali. This mosque was built during the Ottoman period, between 1830-1848. It is a colossal structure and is visible throughout the city of Cairo. Muhammad Ali is commonly referred to as the ‘founder of modern day Egypt’. He was an Ottoman General who soon declared himself as Khedive of Egypt (through the Sultan’s approval) and extended the Ottoman Empire into Sudan. Today, the mosque is built on top of the Cairo Citadel and is well-worth the journey up to the top. The interior is beautifully adorned with blue and gold alabaster decoration. There is also a lovely outdoor courtyard that is home to many antique columns. People who travel on cruises to Egypt will commonly visit the ancient site of Luxor. If you’re lucky enough to visit Luxor, then you have to see the Temple of Medinet-Habu. This is one of the most impressive temples of the New Kingdom period and it was built by Ramses III. The temple itself is remarkably complete. The friezes throughout Medinet-Habu detail Ramses III’s victory against the ‘Sea Peoples’ of modern day Syria. From a historic perspective, Medinet-Habu is a fascinating example of Ancient Egyptian war art because of its extremely graphic battle depictions. The Temple of Medinet-Habu was built closely by Ramses III’s tomb; so there is plenty to see and do while you’re in Luxor. This is a magnificent site and is definitely worth the visit while you cruise on the Nile. If you’re tired from all the sightseeing, then Egypt is wonderful for doing a spot of shopping. Traditional Islamic bazaars are something that has to be experienced. You can buy a variety of objects here; from textiles, to spices, and even beautiful tea and coffee sets. One of the most famous bazaars in Egypt is the Khan el-Khalili Bazaar in Cairo. It’s located in the city’s Islamic district and is one of the most popular sites for tourists who travel via cruise. The Bazaar first became a place of commerce during the 14th century and has been selling a variety of goods ever since. Khan el-Khalili is a perfect excuse for tourists to flex their haggling muscles and experience contemporary Egyptian culture. This is where locals go to do their shopping, so you’re guaranteed to see an authentic snapshot of everyday life in Cairo. If you are travelling along the Red Sea, then you might be lucky enough to stop by the site of St. Catherines. This is a monastery located in the Sinai and is incredibly close to the mountain; making it a popular pilgrimage stop for travellers who venture to the mount. According to the Old Testament, Mount Sinai was the site where Moses spoke with God and received the Ten Commandments. For this reason, Mount Sinai is an extremely popular location for tourists and pilgrims who wish to experience this holy site. If typically takes 4-6 hours to climb and descend the mountain, so people usually begin at 2am so that they can see the sun rising in the morning. This is also very advantageous during the summer months because it can become overwhelmingly hot. If you have the time, it’s also worth visiting the Monastery of St. Catherine. According to gospel, Catherine was a learned pagan who converted to Christianity during the reign of Maxentius. Much to the lament of her family, she refused to give up her faith and was brutally martyred as a consequence. According to legend, furthermore, the site of St. Catherine’s was also where God appeared to Moses as a burning bush (Book of Exodus). For these reasons, Mount Sinai is one of the most popular sites to visit Egypt. Saqqara once served as the necropolis for Memphis; one of the most important cities in Ancient Egypt. 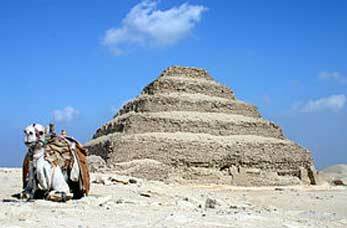 Visitors who travel to this site today can see the Stepped Pyramid of Djoser. This is one of the oldest pyramids in Northern Africa and is well-worth taking the time to visit. As a prominent necropolis, the city was used as a place for funerary rites for Egyptian pharaohs well into the Ptolemaic and Roman periods. There is also a temple attached to the site, meaning that there’s lots of see while you’re in Saqqara. Given that Saqqara is located outwith Cairo, it’s recommended that you visit Saqqara with other tour groups and avoid travelling on the road on your own. One of the most popular stop-off points on an Egyptian cruise is in Memphis. Located 20km south of Cairo, this stunning city was a vastly important site for the Egyptian pharaohs during the New Kingdom period. In Memphis, you’ll be able to see lots of statues and buildings dedicated from Ramses the Great. According to legend, Memphis was also the location of Alexander the Great’s final resting place (before his sarcophagus was moved to Alexandria by his General Ptolemy). Altogether, Memphis is one of the most impressive cities you’ll ever see while in Egypt. This makes it a very popular location for cruisers and is something you definitely shouldn’t miss while in Egypt. There was no doubt that the most impressive and worthwhile sites in Egypt to see would be the Pyramids of Giza. They are the most iconic and easily recognisable monuments in the entire world. It has been estimated that the Pyramids only took 10-20 years to build and were constructed around 2560 BCE. The largest of the structures is over 480 ft. tall and was the largest construction in the world for 3,800 years. The Giza Pyramids were built as the final resting place of the pharaoh and was thus primarily a religious site. The Pyramids were built by slaves – this is a common myth that was primarily perpetrated by 20th century Hollywood. Archaeological evidence from Giza strongly suggests that the workers and their families were housed by the pharaoh close to the pyramids. They were also paid in beer and bread for their efforts. The Sphinx was defaced by Napoleon – another popular misconception about the Pyramids and the nearby Sphinx is that they were actively used by Napoleon as target practice. This is not true; in fact, Napoleon made considerable efforts to ensure that Egyptian antiquities were preserved. Pyramids are only found in Egypt – although the Giza pyramids are the largest in existence, recent archaeological evidence has shown that there are hundreds of undiscovered pyramids throughout Egypt and Libya. Many are buried under the sand and thus inaccessible. If you are planning to take a cruise to Egypt, then there’s plenty to see and do while you travel around the country. At Cruise Nation, we provide some of the best tours and cruise deals available – and we certainly know a thing or two about visiting Egypt. Contact us today if you would like to learn more.